EXTRA CLEAN 1 OWNER 2005 ACURA TL NAVIGATION WITH ONLY 96K MILES!!! 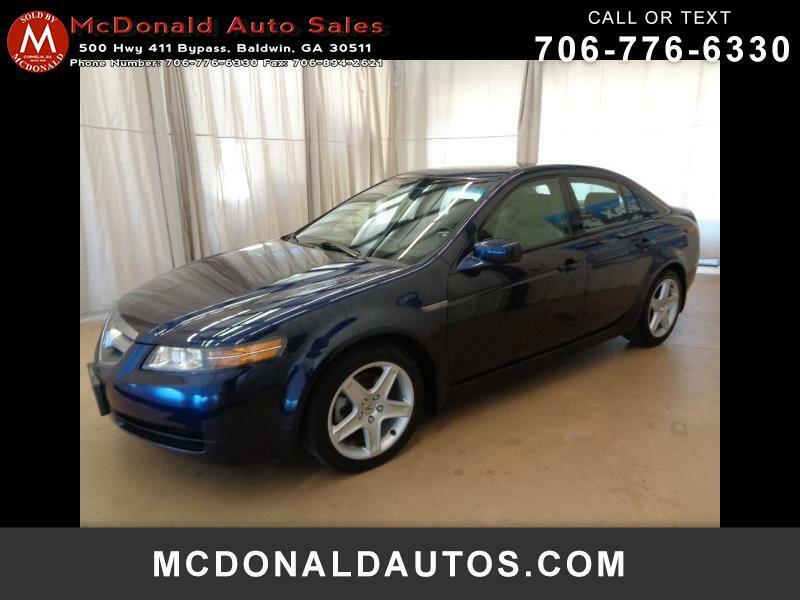 CAR WAS SOLD NEW AT ACURA CARLAND IN DULUTH GA AND HAS JUST BEEN TRADED ON A NEW LEXUS. WE HAVE 3 KEYS ALL BOOKS ORIGINAL MSRP OF 35K AND EVERY SERVICE RECORD SINCE NEW ALL DONE AT ACURA CARLAND. THIS CAR IS A RARE FIND IN THIS CONDITION AND WONT LAST LONG. COME SEE IT TODAY AT MCDONALD AUTO SALES IN BALDWIN GA OR CALL US AT 706-776-6330.